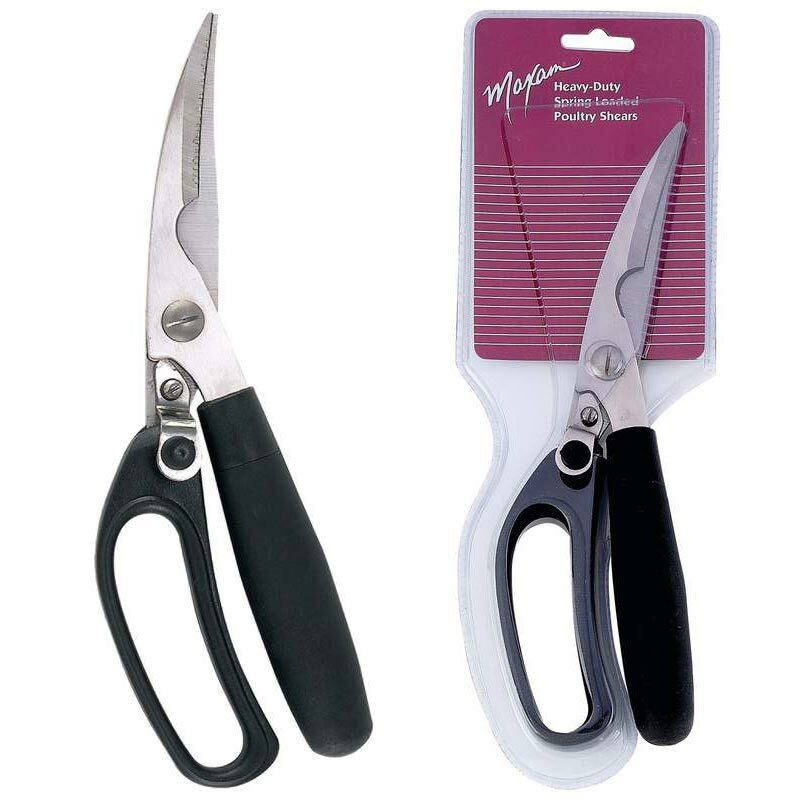 These Maxam® Stainless Steel Spring Loaded Poultry Shears are a top example of a number of styles in poultry shears that serve multiple purposes with their heavy duty curved blades, from cutting up chicken to trimming pie pastry. Heavy duty poultry scissors Will cut a number of types of foods. Stainless steel blades Are durable and will not rust or stain. Polypropylene handles Are soft grip. Curved kitchen scissors Make cutting easier since they mold to your hand and to the cutting job.